It's a bit of a long one..
It’s around this time of year that the new batch of university go-ers are dreading their coursework deadline dates and final year exams. And if you are anything like I was back then – you have no idea what you are going to do once you’ve had your gown on for the day, thrown that black cap in the air and you’ve taken a few snaps to add to facebook and Instagram to rake in some likes. I was in the exact same boat as many of you this time last year. I would have just handed in my psychology dissertation about dealing with occupational stress which funnily enough caused me the most stress I have ever experienced in my life and I would have relocated my whole life into the silent study floor of the library trying to memorise a whole year’s worth of work. I had no idea what career field I wanted to get into, I was sending out CVs to any job that I felt would have me and not getting replies but to be honest I was just trying to get through every single day trying to make sure my highlighters didn't run out and not too focused on finding a job. Then it happened, university was finally over and I was heading back home to London from Birmingham. I was still pretty relaxed about my plan for the future and more than anything I was enjoying the time off that I thought I deserved. And the weeks went by, applied for a few jobs and no response, more weeks went by and I was still waiting for atleast one reply from the millions of companies I had contacted. This is where the pressure kicked in a little, with every friend of mine who landed a great job I was getting more and more worried and I now felt stuck in a rut. There was only so much Jeremy Kyle and Loose Women I could watch to occupy myself with throughout the day. I became more determined to find a job, more than anything to even get an interview. On paper I looked great, good grades, a degree, a placement year, experience but why wasn’t I getting any interviews? And although I have finally landed a job I really enjoy, I still don't have all the answers! But I just wanted to share my experience and let you know a few things I learnt along the way. 1. 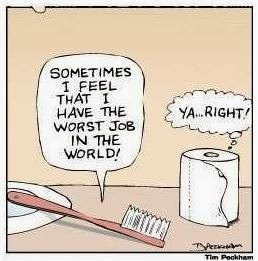 A bad job can be good for you. I know. If you told me this back then I would have looked at you like WTF? But I had to experience a 'bad' job that I disliked to realise what I did and didn't want in a long lasting career. So after months of sharing my CV with the world I finally got a call back and an interview. The job sounded great, it was for a Customer Relationship Manager role and seemed right up my alley. It was alright at first, I was finding my way and I was pretty happy with my responsibilities. I was learning a lot and being able to utilise my skills. Until one day I realised my role had completely changed. Now all the roles I enjoyed doing such as the marketing and client liaison were transferred to a new starter and I was now somehow a sales woman. I had to spend my days cold calling existing and prospective clients asking them if they wanted our services. I gave it a go and really tried my best but I hated this and quite frankly I really wasn't any good. I left everyday so demotivated, I could tell I wasn't doing a great job because now the role didn’t suit me and wasn't what I applied for. So my probation period was coming to an end and I had a meeting with my manager. He asked me how it was going and the people pleaser in me smiled and said “Yeah great” and he then informed me that this will now be my role in the company. I smiled and nodded for a few minutes then decided I could do it. I thought about whether I could actually wake up every morning and sit at my desk breaking into a sweat every time I had to make a phone call. I couldn't do it. I quit that job that very minute and then had a bit of a breakdown when I realised what I had done. At first I was really disappointed and wondered if it was the right thing to do, but really I'm thankful to that experience because from it I learnt about what my skills were. 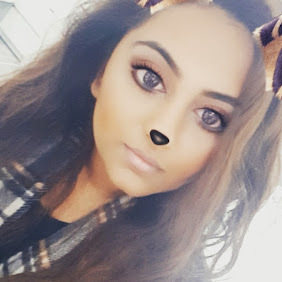 I realised what I enjoyed and what I was good at, so from then on my job search was narrowed down and I knew what kind of roles I saw myself in! Nobody expects you to have all the answers. You never know, I could have been a amazing saleswoman and never known if it wasn't for the chance to give it a go. Just so happens I wasn't - so me and the digital marketing lover in me searched for a more suited job. 2. Job hunting works two ways. Here’s another quick story: So I got invited to interview for another marketing role. The job description read "Looking for confident graduates who want to kick start their career in marketing...Job involves developing brand awareness for out client's through social marketing." Sounds decent right? I whizzed through the first interview round throwing in all them buzz words like “passionate” “dedicated” “committed” and got to the second round. This round involved me work shadowing someone in the role I was applying for, I thought great, I got this. UNTIL I finally actually realised what the job was. No I wasn't based in the fancy office they took me to for the first interview, I found myself on an estate in the middle of nowhere door knocking and asking for donations for charitable causes. And yes obviously I was trying to impress so I was wearing some swanky heeled boots and after 5 hours of the tiger woods fake smile face I decided I just had to leave. Now this isn't me criticising the actual job, bear with me I’m getting to my point here, I'm trying to let you guys know what this taught me. I was just so shocked that through the whole interview process, through the job description not once did they include this pretty huge piece of detail. And then I realised, finding a job isn't actually an one way street. The employers are also selling to you the role as much as you are selling your service. So you know that work experience you did in year 9? The one where you were only asked to sweep the floor and hand out leaflets? The one you blagged on your CV as "Office Assistant and Advertising?" That’s the same thing many companies do to get you through the door. Is it wrong? 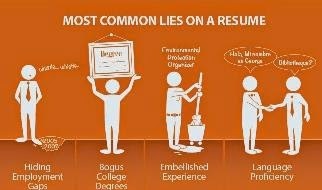 Not any more wrong than your CV “exaggerations”. But a key point of advice I took from this is to ask questions at your interview. Ask them about what your role involves, what your responsibilities will be and basically what you'd actually be doing. Not only does this show some self initiative it can also save you time and might even stop you having swollen feet by the end of the day. 3. The culture of a company is pretty much as important as the actual role. And this is a great question to ask at interviews. You know at the end of the interview and they ask you whether you have any questions for them and you awkwardly smile and say “No, everything sounds great”? This is where the culture question should come in. Ask them how they would describe the culture of the workplace and think about whether it would suit you. Do you like working in a really social and upbeat work enviroment or would you prefer to get your work done and leave? Everyone is different, so find out what the culture is like. Is there a corporate feel? Is the office banter something you'd love or loathe? Find out, because it's just as important as the actual role. My current job has a great culture. It’s a little different to what I have been used to but I have a lot of freedom in my role. I'm never micro managed here, I'm pretty much set my tasks and left to get on with it. A lot of the time I am in my own office getting on with things but I can wonder into the other office and spark up conversation with my colleagues at anytime. This is how I like to work. The sound of people talking all day would annoy me, but not speaking to someone for hours would also drive me crazy. Also figure out whether you see yourself working for big established companies or SME's. They are both have their pros and cons so weight them up and find out what suits you. A great place to look is glassdoor.com because we all know the interviewer will probably leave out all the nasties and you can find out what it is really like to work there. I know you've spent 3 / 4 maybe more years working to get that piece of paper and framed photograph but now you've left uni you’re pretty much on an even playing field with the majority of people who are applying for the same role as you. Find something that sets you apart from the rest, what is YOUR unique selling point? What can you offer that nobody else can? What are your interests? What makes you different? Find out what these are and make sure they shine through during the application process. Although I started this blog whilst at my current job I think this would have been a great talking point during interviews. I used to hate the question “So tell me a little about yourself, What are your hobbies?” I used to sit there and think “Does playing candy crush and watching youtube and reality shows really count as a legit hobby?” But if I had started this blog back then I would have been able to talk about what my interests were and everything that blogging has taught me. 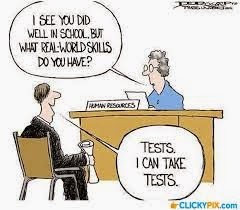 It would have also shown the interviewer so many skills such as creativity, passion, dedication, organisation and shown there was more to me than just my degree. With every hobby of yours you can demonstrate an appealing and tangible skill, so let this shine through your interview. Think about it.. 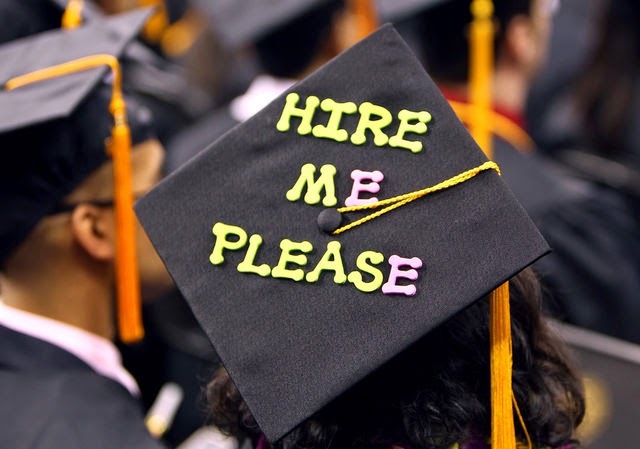 There are millions of students applying for jobs the same way you are. They are all probably going onto Reed or Indeed every day and spamming the world with CVs and Cover Letters so try different approaches. So during the 2 months (which felt like 2 years) of being unemployed job hunting started to become such a tedious task for me. It was literally the most boring thing for me to be doing, so I decided to try a new approach. I remember searching local office blocks and business parks and finding out what companies were based there. After a little research into the company I logged onto Linkedin and tried to find the decision makers of the organisation. This was anyone from Managers of the departments I was interested in, HR and Recruitment staff to CEOs and Owners. I then constructed very personal messages to them asking whether they had any roles available and the response was great. Okay not that great because I didn’t actually get my job from there, but I was surprised at the number of pleasant responses I received. I remember one in particular, it was for a local tech start up company. I found the owner on Linkedin and sent him a message. I focused on telling them that I had read great things about their company on Glassdoor and loved their approach to social media marketing (I was applying for a marketing role at the time). I told him my qualifications and asked if there was any opportunities available. I received a lovely message back from the owner who told me that I had an interesting skills set and that he would forward my resume to the marketing manager. I kindly thanked him for the response and emailed him my CV for future reference. Then a few weeks later Once i had landed a job already I received an email from him. He told me a position as a marketing intern had come up and he wanted me to come for an interview. 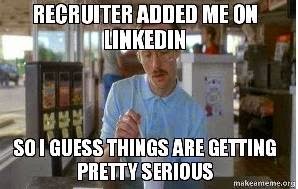 Although I had to decline because I really enjoyed the role I already started I was amazed at how adding a little personal touch and thinking outside the box could have found me a job a lot sooner! I’m not saying don’t try the conventional means of job hunting, because that was how I landed my current role but don’t be afraid to try something a little different! Think about the role you're looking for. Is it a marketing role? Then show your skill by using digital and social marketing to get their interest. Is it a telephone based job? If so, picking up the phone and calling companies could be great. Whatever the role is, try to make your approach more personal because nobody wants their CV to just be added to the pile. So before this blog post get’s any longer I’m going to stop here. But if you found this post useful at all or interested please do leave me a comment below. Like I said I am in no way an expert job hunter but thought I could share a few things I learnt along the way. If you have any questions / feedback or have a story to share – Comment below. Just for anyone wondering: I am now working in HR and Marketing with a bit of Accounts thrown in at an IT Consultancy. I have such a varied role at this company where one day I could be invoicing and managing payroll and the next day I could be designing a new website! I’m pretty happy with where my job hunting led me too but I also know there is a lot more in me to offer! But let's hope I use my own advice if I am back on the career marketing again.